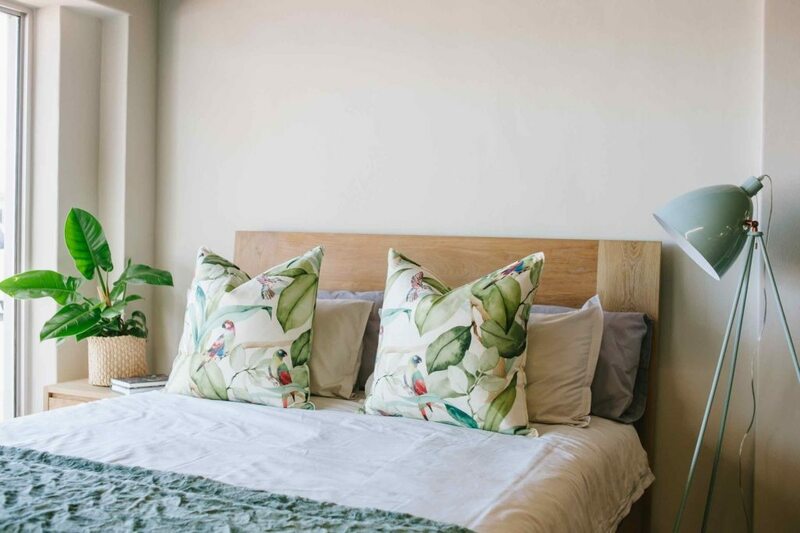 Long summer days will soon be replaced with nesting indoors, spending more time under the covers and soaking in all that homely goodness. As the season slowly transitions, it’s a good time to swap the summer linens with rich fabrics and luxe textures. 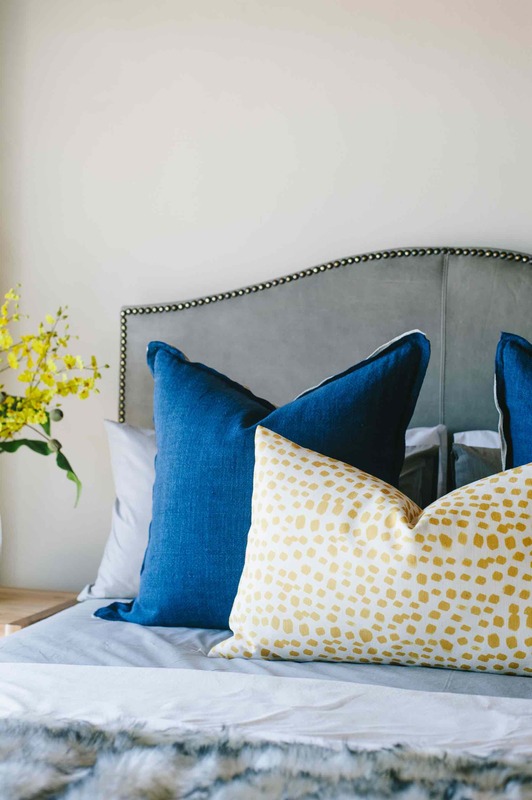 With a few décor staples and home accessories, you can easily transform your bedroom from season to season. 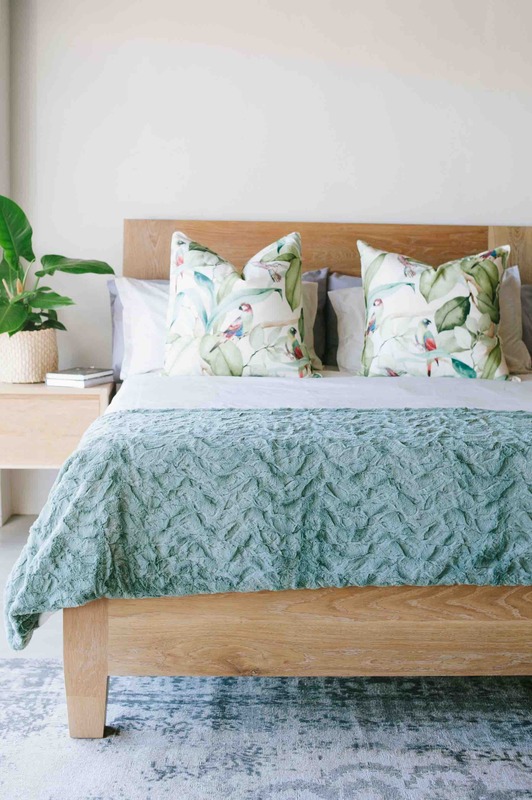 Scroll down to see how we created a summer and winter bedroom look. Stick to light hues for your bedding – white, stone, grey or pastel colours. Make a statement with wallpaper. 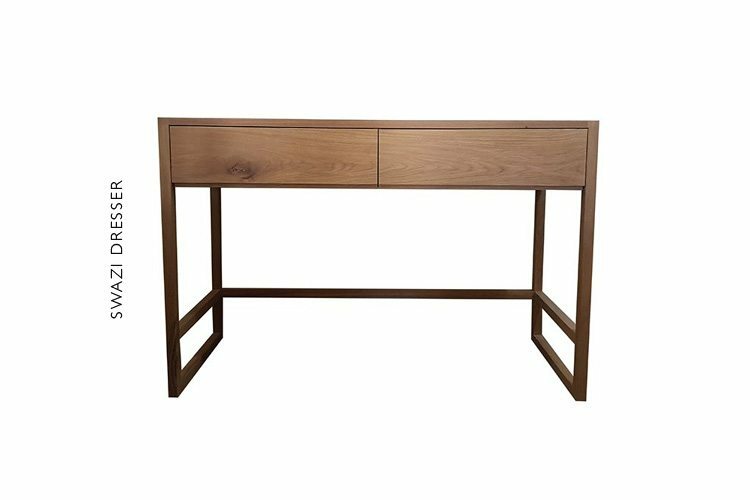 This is a time-effective and easy way to transform your bedroom. Before carefully choosing a design, decide on the mood and overall look that you want to create. Add a pop of colour with large floral designs. Incorporate this trend with smaller items, such as cushions, throws or wall art, which can easily be changed from season to season. Add indoor plants to your setting for a lively, fresh touch. *Did you know? We offer wallpaper services to assist with everything from patterns, colour schemes, sizing and installation. Make an appointment at any of our showrooms. 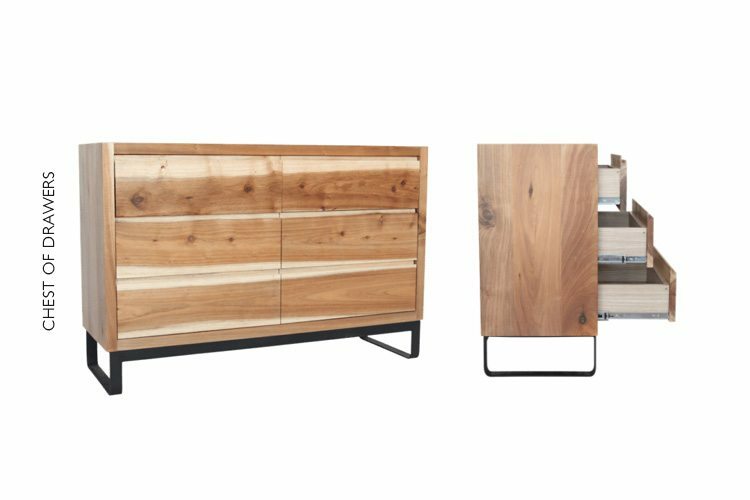 This winter is all about a relaxed,“unmade” style in your bedroom. Combine natural washed linen and cotton with beautiful velvet and wool textures to achieve the look. 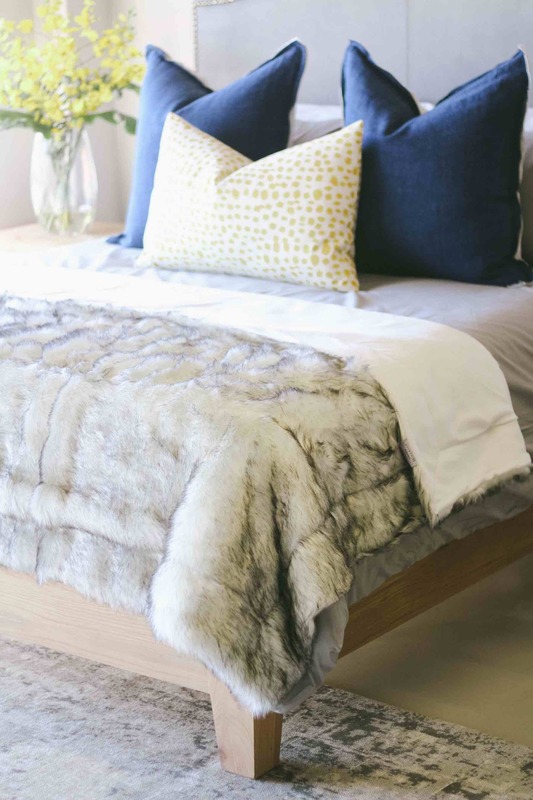 To stay warm during the cooler months, replace your normal duvet inner with a feather inner. Feather inners are lightweight, yet suitable for moderate to cold weather. 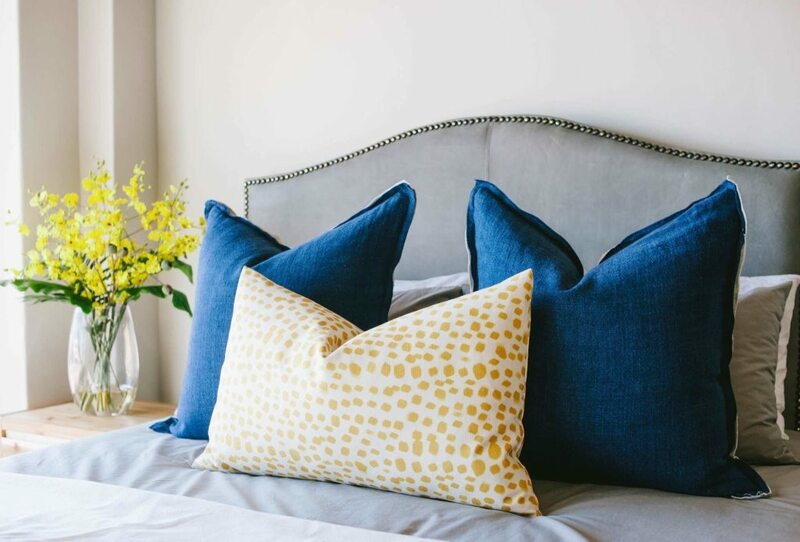 To create that luxe, cosy feeling, layer your bed with throws and scatter cushions. 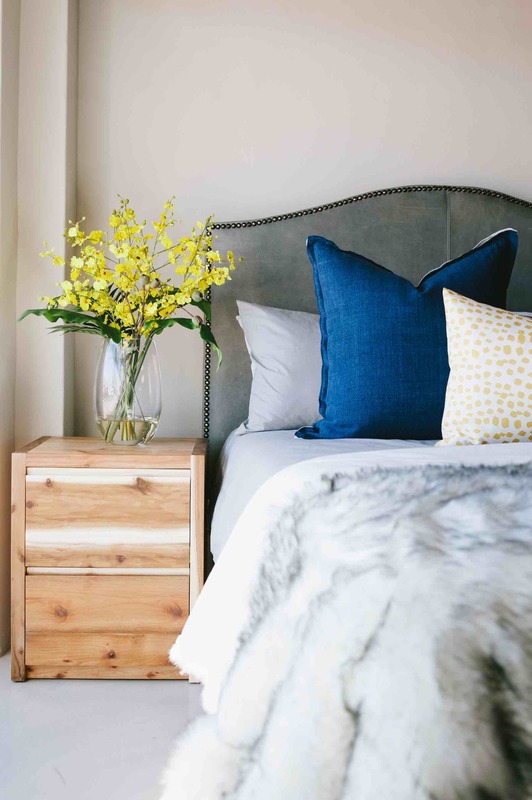 We opted for a faux fur throw and a variety of yellow and navy cushions. 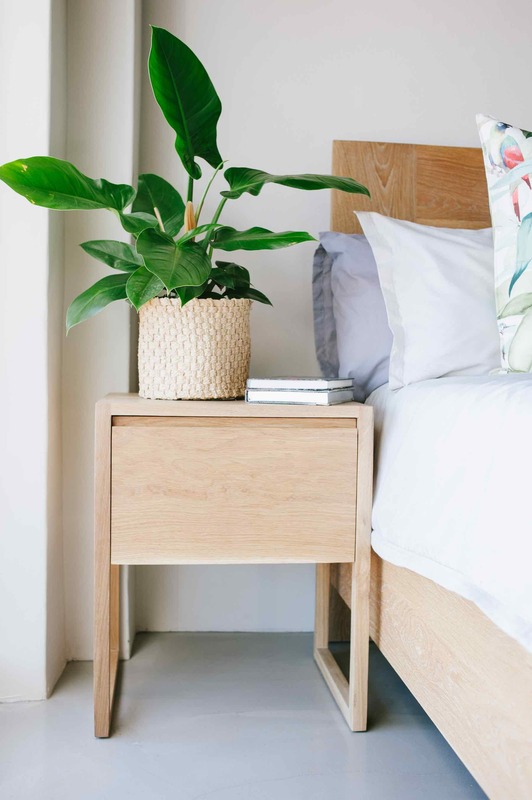 Arrange fresh flowers, indoor plants or décor accessories on the bedside table for a pop of colour. 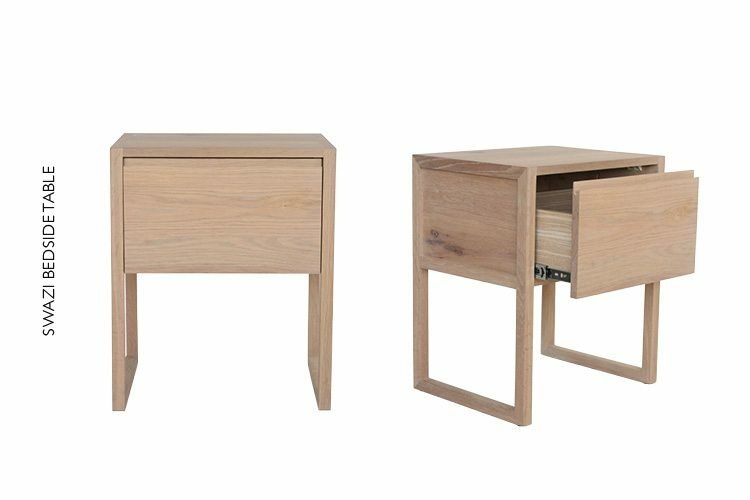 *Our wood products are available in Natural Oak, Smoke Oak or Natural Blackwood. Our headboards can be upholstered with leather (colour of choice) or fabric. This entry was posted in Blog and tagged bedroom decor, furniture, Home decor, home styling.